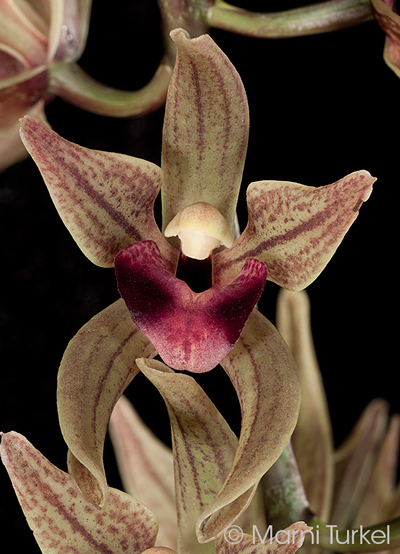 Cymbidium devonianum outcross #1475 ('0148' x '2068') (approximately 25 seedlings per flask). The Species: This is a cross of two of my favorite clones of this species. Both have very good flower color and are free blooming. This species occurs in the Himalayan mountains where it grows from 3300 to 6600 ft elevation. 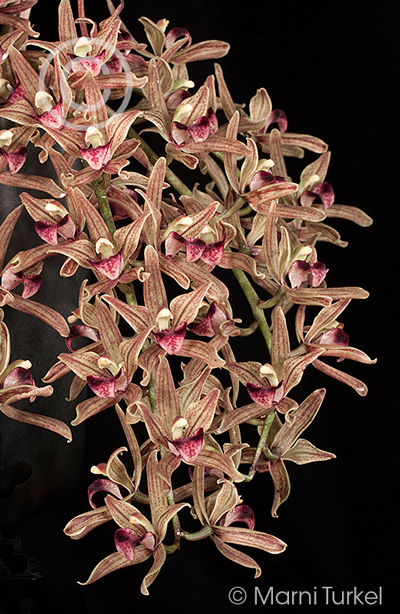 The long lasting flowers have a beautiful velvety texture that makes the rich colors more vibrant. 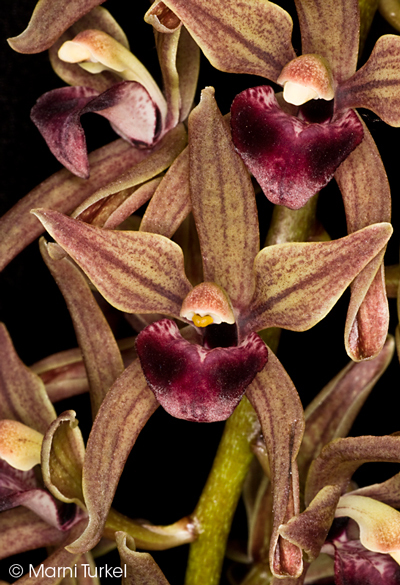 This is the species used in all of the pendant Cymbidium hybrids. It is a slow grower and remains a compact plant. 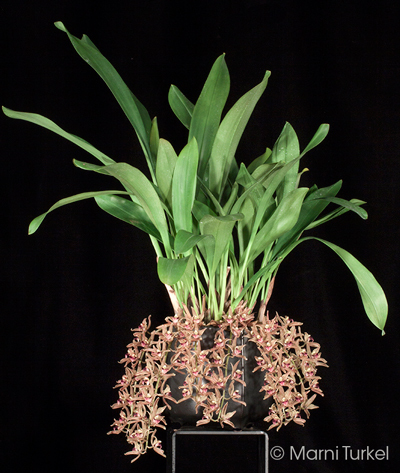 As you can see in the images, it will make a beautiful specimen plant. Culture: I grow this with a warm summer and a cool/cold winter. Lots of water during the growing season and somewhat drier bright conditions during the winter. 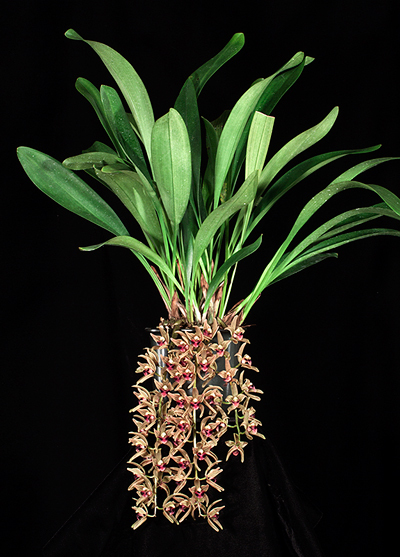 The spikes travel along the top of the medium so it is not necessary to grow this in a basket.